It is inevitable that racism would become part of the discussion about Barack Obama’s presidency. After all, President Obama is the first black president of the United States. As the son of a Kenyan father and an American mother, he is an authentic African-American and that makes him unique among American presidents. There are doubtless some Americans who do not want to accept President Obama purely or primarily on the basis of his skin color and ancestry, but these people are obviously a small minority in the United States today. In an AP poll taken in April 2008, only eight percent of white Americans indicated that they would be uncomfortable with a black president. A useful comparison can be made by comparing exit polls for the 2008 presidential election between John McCain and Barack Obama and the 2004 election between George W. Bush and John Kerry. In 2004, white voters voted for George Bush by a margin of 58 to 41 percent. This is almost exactly the same as John McCain’s margin of victory among white voters, 55 to 43 percent. On the other hand, black voters supported Kerry in 2004, 88 to 11 percent. In 2008, to no one’s surprise, the number increased markedly when black votes chose Obama by 95 to 4 percent. Hispanics showed a similar increase. In 2004, they were split almost evenly with 44 percent voting for Bush and 53 percent for Kerry. In 2008, Hispanics chose Obama in a landslide with 67 percent voting Democrat and only 31 percent voting for the Republican, McCain. Results are also similar for Asian voters. In 2004, Bush won almost half of their vote (44 percent to Kerry’s 56 percent), but McCain lost by a wide margin (62 to 35 percent in 2008). In Georgia, the results were similar to national averages. In 2004, President Bush won 76 percent of whites, leaving John Kerry with 23 percent. The tally from 2008 is identical with John McCain winning 76 percent and Barack Obama 23 percent. Among black voters, Kerry won with 88 percent to Bush’s 12 percent in 2004. In 2008, Obama won 98 percent of Georgia’s black voters leaving John McCain with only 2 percent. These statistics would seem to indicate that race did make a difference for Obama, but not the way that most people would have thought. White voters did not stay away from Obama in large numbers because he was black, but minority voters did flock to him. Was this because of race? The fact that the surge was not present among white voters lends credence to that idea. Does this make minority voters racist? Some probably are, but other factors, like the heated debate on immigration reform in 2007 undoubtedly pushed some minority voters into the Democratic camp. Racial pride certainly played a role in boosting the black Democratic vote, which normally heavily favors Democrats anyway. As the Wall St. Journal’s James Taranto points out, “One other thing we expect is to start hearing about race again--not from the president himself so much as from his supporters, especially in the media. Here again, the message will be a negative one: not 'Wouldn't it be cool to have a black president?' but, 'If you vote to fire the first black president, you're racist.' 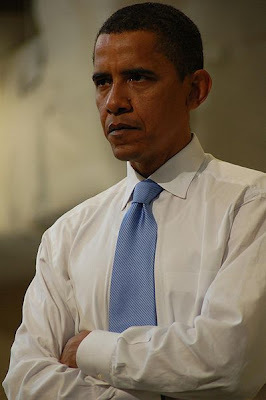 "
The argument that Obama’s opponents are racist assumes that President Obama was losing support primarily among white voters; however an April 2011 Gallup poll shows that this assumption is incorrect. Obama’s support is falling among all racial groups. Among whites his support has fallen from a high of 56 percent in January 2009 to 39%. His approval has also fallen among Hispanics (54 percent from 73 percent) and blacks (85 percent from 93 percent). If Obama’s approval rating is falling among all racial groups then there are only two possibilities. The first is that all racial groups, including blacks, are prejudiced against President Obama’s racial group. It is conceivable that blacks and other racial groups would be prejudiced against Obama because of his mixed race heritage, but the statistics from 2008 do not bear this out. The second possibility is that voters from all racial groups are turning on President Obama because of his job performance and the results of his policies. The second possibility is borne out in unemployment statistics. Unemployment rates have been chronically high since the recession started in 2008 and have hovered just under ten percent since Obama’s inauguration. Current statistics from the Bureau of Labor Statistics show that the national unemployment rate is 8.8 percent for March 2011. When broken down by racial groups, the unemployment rate among whites is 7.9 percent, 15.5 percent for blacks, and 11.3 percent for Hispanics. In Georgia, where the unemployment rate has been consistently higher than the national average, the total unemployment rate is 10.0 percent according to the Georgia Department of Labor. Unemployment for black Georgians was not available on the DOL website, but a Huffington Post article citing statistics from the Economic Policy Institute put black unemployment in Atlanta at 15.7 percent, more than twice the unemployment rate of white Atlantans. Given these statistics it is no surprise that minority groups are starting to fall away from Barack Obama. His policies, including the massive stimulus bill of 2009, have not only not reduced unemployment, but minority groups are demonstrably worse off than whites. This is true at both the state and national level. Moreover, a Kaiser Family Foundation survey found that 72 percent of blacks are dissatisfied with the national economic situation even though 51 percent are satisfied with their personal financial situation. These numbers are consistent with the opinions of both whites and Hispanics. Further, blacks reported that their three largest economic concerns are the job situation, the rising cost of health care, and rising prices. These three issues have all been negatively impacted by Obama’s policies. Health care reform has actually increased the cost of health care and the Federal Reserve’s quantitative easing is fueling inflation. If the economy does not recover, Obama’s large margins among minority voters are unlikely to be repeated in 2012. 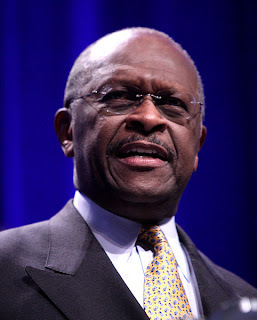 Also conflicting with the Democratic charges of racism is the success of Republican presidential candidate Herman Cain. Cain is a Georgia native and a successful businessman and talk radio host. He is a supporter of the Fair Tax and a staunch conservative. He also happens to be black. Cain not only emceed a Tea Party in Douglasville, Ga. last year, he won a straw poll at a Tea Party summit in February 2011 in which he beat out such notables as Mitt Romney and Sarah Palin. 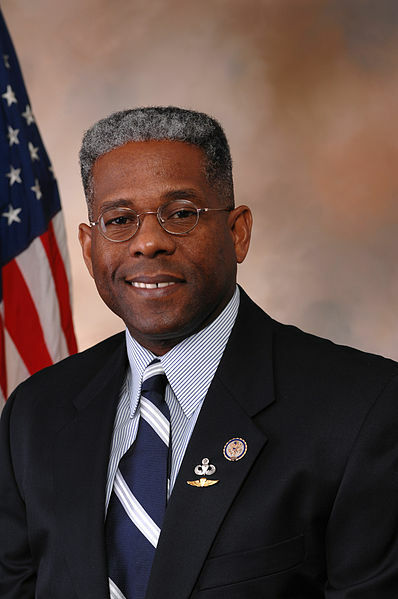 In addition to Cain, the ranks of black conservatives are beginning to grow. One of Obama’s lasting legacies may be a seismic shift in racial politics. The Republican landslide of 2010 saw the first black Republicans elected to Congress in seven years. Although there were numerous black Republican candidates in 2010, the two who won congressional seats were Lt. Col. Allen West (Ret.) 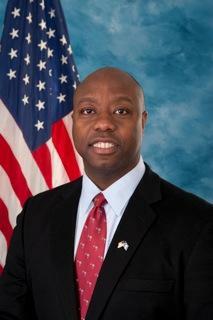 in Florida’s 22nd district and Tim Scott in South Carolina’s first district. West is an Atlanta native. As the popularity of Obama and the Democrats continues to slide, there will doubtless be more black conservatives to join them in the halls of Congress as well as state capitols around the country. In 2010, there were other black Republicans around the country as well who did not win. For example, in Colorado’s seventh district, Ryan Frazier lost to incumbent Ed Perlmutter, a white Democrat. There were no charges of racism on the part of Democrats who voted against Frazier. In a historic moment, Georgian Ashley Bell, a Hall County commissioner, became the first elected black Democratic official to switch parties and become a Republican in December 2010. According to Red County, Bell said, “I’m joining the Republican Party because I’m a conservative and simply feel more at home as a Republican. I have worked to make government more efficient and less intrusive in citizens’ lives and plan to continue those efforts as a Republican.” Bell was followed closely by Andre Walker, a member of Georgia’s Democratic executive committee. This is fitting since the Republican Party was actually founded on the principles of abolition and racial equality. For most of the last one hundred fifty years, the Republicans were the party of equality while the Democrats stood for Jim Crow laws, separate but equal, and the Ku Klux Klan. 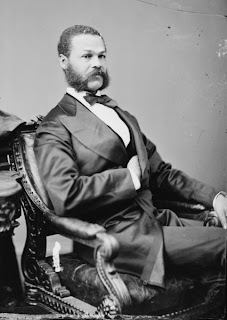 Jefferson Franklin Long, a black Republican from Knoxville, Ga. became the first black congressmen to speak on the floor of Congress in 1871. This only changed when President Lyndon Johnson signed the Voting Rights Act of 1965. Since then, no Republican candidate has gotten more than 15 percent of the black vote. If conservatives want to win in the future, they should reach out to minorities and point out that conservative policy will benefit us all. As President Kennedy said, “A rising tide lifts all boats.” Electing conservatives, whether Republican or Democrat, who will keep taxes low and shrink the size of government. This, in turn, will foster economic growth and lead to national prosperity for all Americans. Many members of minority groups are business owners and entrepreneurs who would greatly benefit from an administration and congress that are more friendly to business. To that end, organizations such as the National Black Republican Association are attempting to reach out to minority voters. Black conservatives who ran and lost in 2010 may try again in 2012 with the benefit of more experience and name recognition. There will probably be many new black Republican candidates as well. More importantly, conservatives should reach out to minorities because they are not a simply members of a voting bloc. Minority groups are made up of real individuals who have much to offer and share many of our common goals and the American Dream. If we work to erase racial distinctions and move toward a world where, as Martin Luther King said, people are judged not “by the color of their skin, but by the content of their character,” we will all be richer for it as we realize that the most important diversity is diversity of thought. Please click the SUBSCRIBE button at the top of this page to receive future updates.